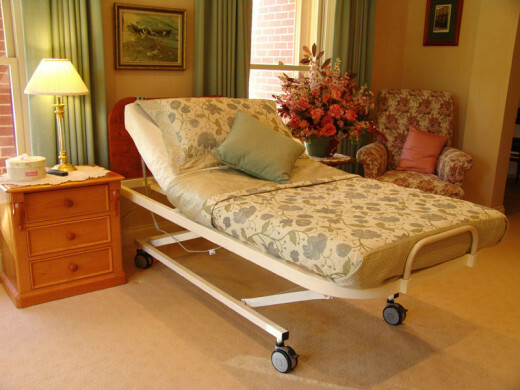 This series of home care beds have been designed and manufactured in Australia to give you years of trouble free service. The bed has a strong steel frame which has been tested to safely support a rated load of 185kg. All critical moving joints are fitted with bronze bearings for quiet operation and long life. All actuators and electrical components are located and protected under the mattress base, giving the bed a clean, homely appearance. The height range of the bed is 240 – 740mm. The bed is available with or without a knee bend operation, but has an adjustable backrest as standard. The bed is powder coated giving a durable and easy-to-clean finish to the bed. A detachable head board is fitted at the head end with a mattress retainer at the foot end. 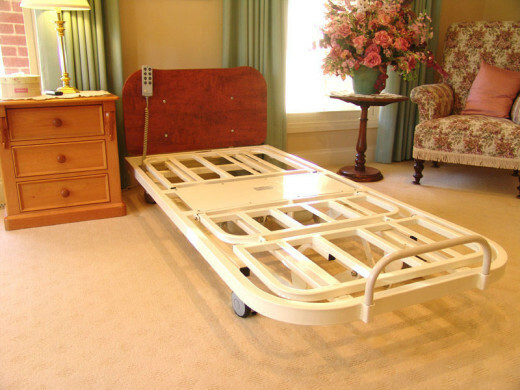 The bed itself has been tested for over 1700 cycles with the rated load, ensuring the bed is safe, reliable and meets the requirements of the Therapeutic Goods Association.